When a Medicaid application is denied or there is a failure to pay the monthly charge, threats of discharge are likely to soon start, often from the finance office of the nursing home or assisted living residence. Sometimes other reasons are given by management to justify the discharge of a resident to either 1) another facility or 2) the home of a spouse or child. If faced with a threatened discharge or transfer, what can or should you do? First and foremost, call me. There are strict laws and procedures that must be followed before a person can be discharged or transferred from a NJ licensed nursing home or NJ licensed assisted living residence or termination from the New Jersey Global Options Program. The Hanlon Niemann law firm took my case when others wouldn’t. They worked hard to get my Mom the Medicaid Insurance that she deserved. My mom is handicapped and at only 75 years of age too young to be placed in a nursing home. Now, thanks to the hard work done by Fred and Diane, she can remain at the place she has called home for the past 4 years.. If it wasn’t for them, her time at The assisted living facility would have been limited. Both mom and I can sleep better these days and I feel like a huge weight has been lifted off of my shoulders. Thanks again, Fred and Diane! What Do You Mean When You Say “Transfer or Discharge”? Transfer and discharge includes the involuntary movement of a resident to a bed outside of the facility even if that bed is in the same physical location. However, a transfer and discharge does not refer to the movement of a resident to a bed within the same certified facility. The resident’s physician when transfer or discharge is claimed necessary because of the resident’s welfare, risk to others or the inability of the facility to care for the resident. If the claimed reason for transfer or transfer is deemed appropriate because of the improvement in health by the resident, a physician must recommend and support the proposed action. Notify the resident and, if known, a family member or legal representative of the resident of the transfer or discharge and the reasons for the move in writing and in a language and manner they understand. Include in the notice the specific reasons for the transfer. A resident has not resided in the facility for 30 days. The Administrative code governing discharge in New Jersey requires in these situations that notice be made as “soon as practical” before the transfer or discharge. Obviously, this is a highly fact sensitive standard that can be legitimately argued by the family or a resident subject to transfer or discharge. For nursing facility residents with developmental disabilities, the mailing address and telephone number of the agency responsible for the protection and advocacy of developmentally disabled individuals established under the Development Disabilities assistance and Bill of Rights Act. For nursing facility residents who are mentally ill, the mailing address and telephone number of the agency responsible for the protection and advocacy of mentally ill individuals established under the Protection and Advocacy for Mentally Ill Individuals Act. If a transfer and discharge is contemplated, there must be sufficient preparation and consideration made available to the resident to ensure the safe and orderly transfer or discharge from the facility. By that, the law means that the facility must devote the necessary resources, time and support services needed to manage the physical and mental harm and disruption to the resident lifestyle pending the transfer or discharge. The nursing facility’s policies regarding bed-hold periods, which must be consistent with its written bed-hold policy under the state plan governing its licensing. At the time of transfer of a resident for hospitalization or therapeutic leave, a nursing facility must provide to the resident and a family member or legal representative written notice which specifies the duration of the bed-hold policy. Is eligible for Medicaid nursing facility services. When the nursing facility to which a resident is readmitted contains a composite distinct part (as previously defined on this page of this article) the resident must be permitted to return to an available bed in that particular location in which he or she resided before. If a bed is not available in that location at the time of readmission, the resident must be given the option to return to that location upon the first availability of a bed there. A facility must establish and maintain identical policies and practices regarding transfer, discharge, and the provision of services under the State plan for all individuals regardless of source of payment. The facility must not require a third party guarantee of payment to the facility as a condition of admission or expedited admission, or continued stay in the facility. However, the facility may require an individual who has legal access to a resident’s income or resources available to pay for facility care to sign a contract, without incurring personal financial liability, to provide facility payment from the resident’s income or resources. In the case of a person eligible for Medicaid, a nursing facility must not charge, solicit, accept, or receive, in addition to any amount otherwise required to be paid under the State plan, any gift, money, donation, or other consideration as a precondition of admission, expedited admission or continued stay in the facility. For more information about discharge, threatened discharge or patient resident rights, please contact me personally toll-free at (855) 376-5291 or email me at fniemann@hnlawfirm.com. He is happy to meet with you or your family member. from a NJ Nursing Home? 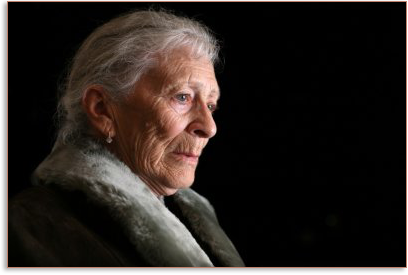 He will sit and discuss your particular case and help you evaluate whether an actionable case of elder abuse exists.